Are you shopping for a gamer? Get them what they really with this stylish piece of Fortnite merchandise. The Fortnite Balloon Drop Jumper features designs inspired by the radioactive soldier in Fortnite, Cobalt Commando. In the game mode Save the World, players can use this Soldier Hero to help eliminate enemies using his impressive powers. Get the Fortnite Balloon Drop Cobalt Kids Jumper today in Small. 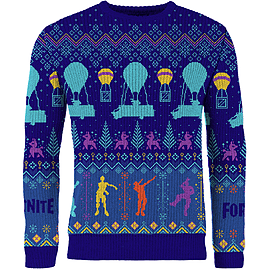 The Christmas jumper is designed with the Fortnite celebration dances at the bottom in vibrant colours and Fortnite written on the arms. As well as this, the plane which players jump out of to land in the map is designed across the top of the jumper. Offering vibrant colours and stylish imagery, this is the perfect piece of Fortnite merch for any fan of the game. 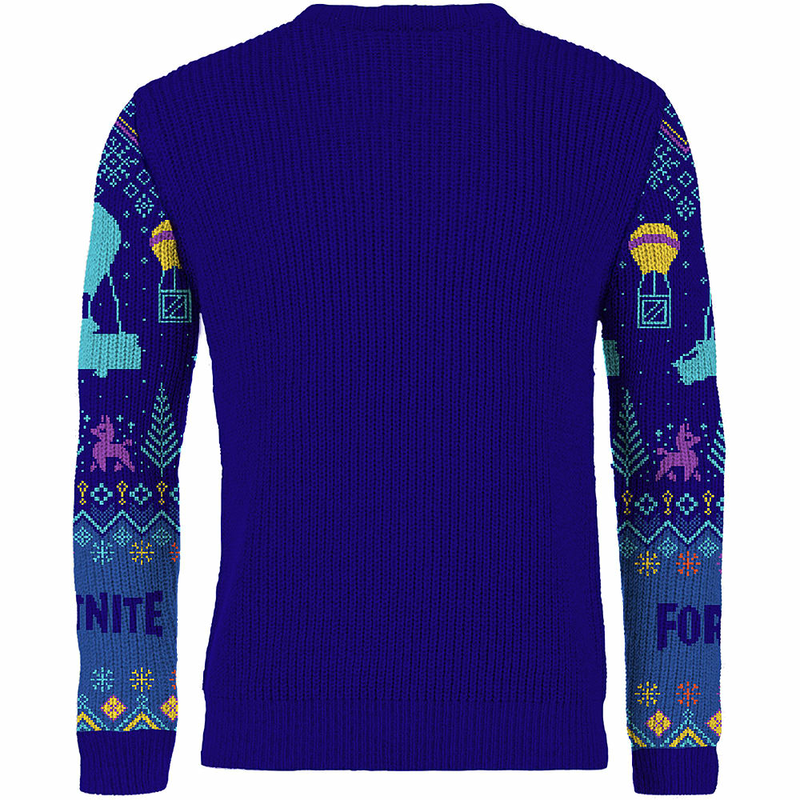 This Fortnite jumper is kids size small and would make the perfect gift this Christmas.